Yachting is expensive. Plain, ordinary boating can be expensive, too, but it can also be a bargain. With some searching, you can find an old, functional boat to buy for next to nothing. Really. Sometimes your initial investment can be zero. And sometimes that’s exactly what an old boat is worth. A million-dollar boat is going for auction as I write this, but it will certainly sell for very little money, because it was wrecked at sea, floated around the Atlantic for a year and will need about a million dollars to properly restore. That’s not a bargain. Conversely, I have seen great values out there. A 33-foot trawler for less than $10,000. A 24-foot racer/cruiser for $2,500. A 17-foot daysailer for less than $1,000. All needed some work but were functional and ready to go. There are a few simple principles to follow in the hunt for a good old boat. First, find one that meets your requirements. Second, find one that was built well. Third, find one that needs no more time and money than you are willing to put into it. Fourth, remember that a simple boat is cheaper and easier to maintain than a complex one. So, let’s say you discover an old boat in a boatyard, backyard or classified ad. The price is very low. Ask yourself: Is this the boat I really want? Is it the right size? If I were shopping with a large budget, would I pick something like this, only newer? If the answers are “yes” to these questions, you can move on to the next issue. If any of the answers to these important questions are “no” or “maybe,” look more closely at why. The most common trap is to buy a boat because it is big and cheap: “A lot of boat for the money.” You will pay the difference in increased maintenance and storage costs. Another common error is to overlook a fatal flaw because the price is right. Perhaps it has a deep keel and you won’t be able to enter many of the Bay’s most interesting creeks. Perhaps it has two big gas V-8 engines and outdrives with likely reliability problems. Fiberglass is almost immortal. When future archeologists dig up the remains of our civilization, most of the houses and buildings will no longer exist. Books, music and videos will be gone, and there will be no traces of steel cars or aluminum airplanes. But somebody will find the ruins of a marina on the Chesapeake replete with scores of sail and powerboat hulls amidst hundreds of plastic soda bottles. If you find a 20-, 30- or 40-year-old fiberglass boat from a reputable builder, the least of your problems will be the hull. Even if the gelcoat is blistered, it’s probably just a cosmetic issue that you can have repaired at your convenience or not at all. The biodegradable and corrodible parts attached to that durable hull are the things that will cause you grief. A poorly built vessel with a lot of encapsulated wood and sloppy assembly is another story, because once water finds its way into the core, it all peels apart and becomes useless. Except for teak, wood rots and is expensive to replace. Rainwater will eventually get to it, so be wary of any boat with a lot of exterior wood trim or a wooden superstructure. Many deceptively nice looking 15-year-old, mass-produced runabouts have encapsulated wood stringers in the hull that are completely rotted. Free is too expensive for a vessel like that because the cure is serious surgery. Usually, wood parts are attached with screws, which create holes for water to intrude. What looks like a bit of discoloration on the wood-cored cabin or window frame of that bargain 1985 cruiser you saw in the boatyard is probably an indicator of deeper problems. A wood-cored deck that goes “scrunch” when you walk on it is probably water-soaked and delaminated. You will not be able to get rid of those pesky leaks into the cabin. Old electrical systems are always suspect, especially if the wiring is untinned or poorly installed. Electronic devices more than a dozen years old are probably defunct. Fuel tanks and hoses have finite lifespans. Then there’s the engine. With reasonable care, a diesel engine will run for many decades. Outboards are true marine engines that usually last for a very long time if they have not been abused. But the gasoline power plants in many small motorboats are just converted light truck engines, which are more fragile and often do not survive in the saltwater environment. 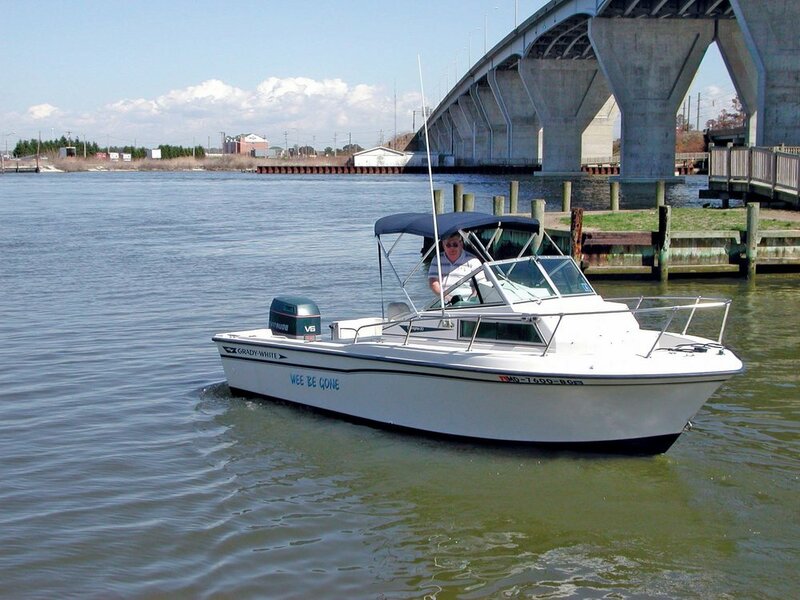 Worst of all, outdrive units on boats that are kept in the Chesapeake’s brackish water generally begin to fail after a few years. So the best deal is often a somewhat scruffy looking 30-year-old diesel-powered boat from a reputable builder. It will probably need rewiring, perhaps a fuel tank, new sails if it’s a sailboat, upholstery, standing and running rigging, canvas, electronics and a thorough cosmetic refreshment. When you finish, you can be proud to have a classic small yacht that is equal to most new vessels. The worst deal is a cheaply made 20-year-old runabout with an outdrive. If it is free, it will cost you at least $10,000 to refurbish. When you finish, you have a 22-year-old cheap boat. Add the cost of a trailer, mooring buoy or marina slip to the refurbishment, and you will have an idea of the true cost of the boat. While that 17-foot daysailer can be brought to good condition for a thousand dollars or less, the $10,000 trawler can rapidly hit $30,000, even if it is basically sound to begin with. If it requires chasing down leaks and replacing rotted wood, add another $10K–$20K to that. A well-made small boat with an outboard that has had routine maintenance can also be an excellent buy, especially if it has lived on a trailer. I recently sold my 1995 17-foot Scout with a Yamaha 115 and a trailer for $4,500, and the buyer got a good deal. But that’s what the market value was. The same boat new is $25,000. If your needs are simple, life is easier. One-design sailboats are often good choices, because they will retain their value well even though they may cost a bit more initially than “orphan” daysailers. Four years ago I bought a 1975 Flying Scot in average condition for $3,000 and could sell it today or next year for the same price. Since the class is active and enforces a strict one-design rule, old boats are as competitive as new ones on the racecourse as long as the sails and rigging are updated. So where do you find deals like these? They will not be in brokerage listings, because the profit margin is too small. Sometimes it is just a matter of mentioning to friends that you are looking for a good old boat. One of them might know somebody else who is selling one. Simply wandering around small boatyards is an enjoyable way to seek old boats. The adage, “Every boat is for sale,” is true. It’s usually just a matter of price, so if you see something appealing that appears to have been stored for a year or so, talk to the boatyard manager and explain your interest. Chances are good that you’ll get a phone number to call. Bulletin boards at marinas and yacht clubs often carry notices of boats for sale, especially small sailboats and outboard runabouts. This is usually a reliable source, since no club member wants to deceive his friends. Craigslist (www.craigslist.org) is a sometimes-wonderful local resource for used boats, whether you are buying or selling. Be sure to check the listing in adjoining areas as well as your home location. If you are selling, do the same thing. The big advantage of buying through Craigslist instead of eBay or other wide area auction sites is that you will meet and deal with the seller personally. There are thousands of used boats out there so take your time. Patience will pay. Buying a boat is like marrying. Choose in haste, repent at leisure. 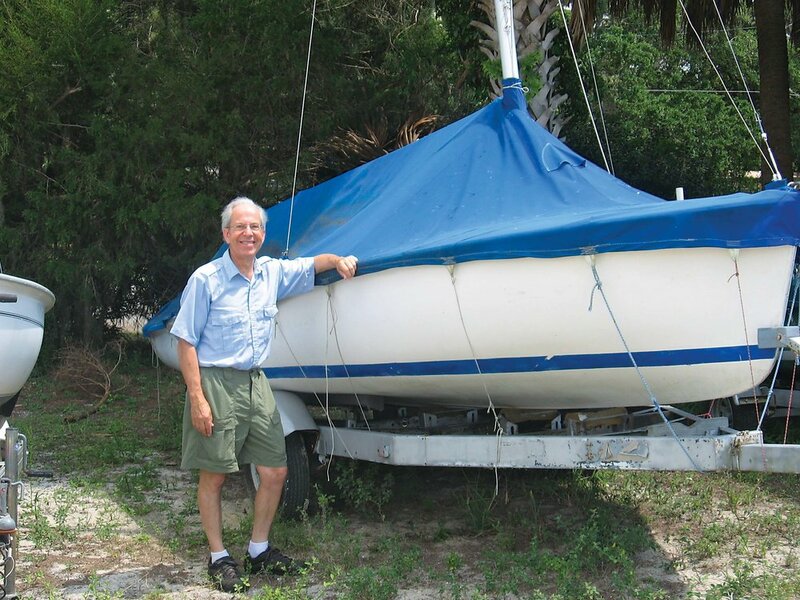 Tom Dove has been writing about boats and the Bay for more years than he would like to admit.